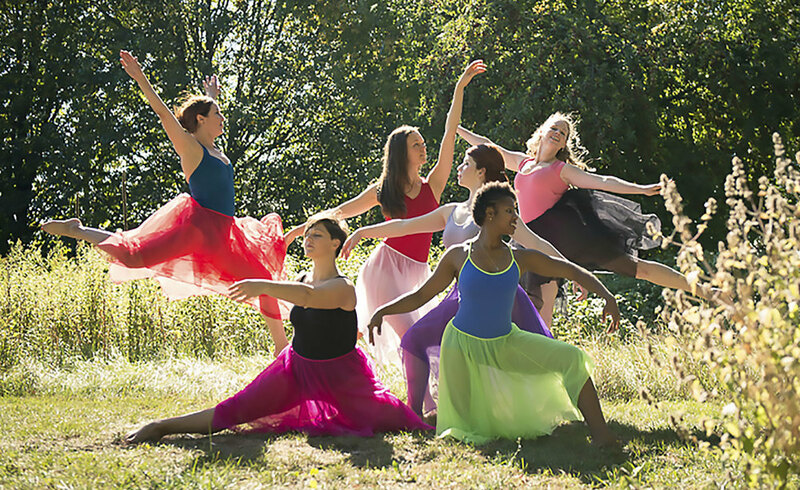 Ann Arbor’s People Dancing is one of two professional, nonprofit modern dance companies founded in Ann Arbor in 1985 still thriving today. Ann Arbor Dance Works was founded by members of the University of Michigan dance faculty. The company’s dancers are faculty members, guest artists, and select graduate and undergraduate dance students. 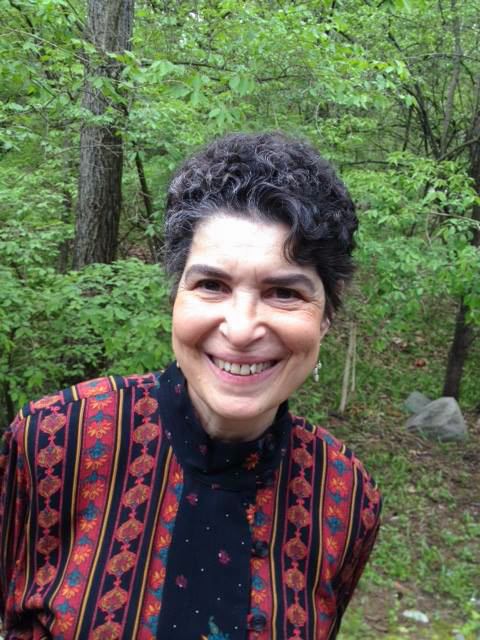 People Dancing was founded by Whitley Setrakian Hill, who led the group until 1999, when she moved to Nashville and passed the baton to Christina Sears-Etter. Sears-Etter had danced with Hill and with Ann Arbor Dance Works. People Dancing is committed to serving the community, which it does by offering classes, lectures, and workshops. It aims to “enrich lives through the art and practice of dance” and to build bridges between the worlds of art and education. The group’s mission includes bringing dance into the community and making high-quality programming accessible to the widest possible audience. Each spring, the company performs in “Dance in the Mitten,” a concert held, in recent years, at the Riverside Arts Center in Ypsilanti. (“Mitten” refers to Michigan’s distinctive shape.) Various Michigan dance companies are represented in the event. The groups differ in composition and flavor, but they are alike in their passion for dance. Last May, dancers varied in size and shape from one troupe to the next, but each performer was flexible and sure. Quickness of movement was the rule. Even those who prefer Balanchine bodies — tall and willowy — had to admire the skill and versatility of these fluid dancers. The choreographers’ inventiveness was equally arresting. Had I not met Sears-Etter just before the rehearsal, I would not have guessed that she was the senior member of the group and its director. She could pass as sister to any of the dancers, even though their ages range from 15 to 30. Sears-Etter’s lithe, muscular, and graceful body, her high energy, ready smile, and penchant for gathering her dancers in group hugs (“Let’s have some sugar”), belie her 43 years. She is mother and friend to her dancers. They communicate in several dance vernaculars. She uses ballet terms: “rond de jambe” and “chassé”; gymnastic cues: cartwheels and handstands; and her personal dialect: “hug and release,” “follow your timing,” and “show the struggle” in experimenting with movement. She composes appealing stage pictures with her dancers’ bodies. Whether still or moving, the tableaux are pleasing. It was a treat to watch the rehearsal, which was part of a series of choreographic exercises for Strive, a work inspired by the study of mirror neurons. Sears-Etter, always curious about the world, was taken with the theory that mirroring — reflexive mimicry of one another’s facial expressions, gestures, and sounds — offers clues to the roots of empathy and compassion. When she decided to explore this phenomenon in art, she spent time discussing the idea of mirror neurons with her dancers. Since chimps were involved in a recent study of mirror neurons, and since many scientists suspected that this mirroring offered proof that the brain is hard-wired for empathy, a poster for the dance project featured a photo of primatologist Jane Goodall with a chimp. Strive was one of two pieces presented by People Dancing. The other was Cenote at Dusk, a solo work performed by Sears-Etter and her frequent musical collaborator, Ken Kozora, on guitar and percussion. Strive featured five company dancers in an abstract piece, with movements mirrored by pairs of dancers. Sears-Etter’s solo piece, Cenote, was inspired by flamenco and tap, and was a dialogue between dancer and musician. Ken Kozora described their improvisational way of working. He said that Sears-Etter likes to leave sections of the dance unscripted. During those sections, he and Sears-Etter communicate with each other onstage, and the dance and music evolve spontaneously, before our eyes. At this concert, their artistic dialogue was effective and affecting. Sears-Etter’s costume evoked traditional flamenco finery, with jingling metal mesh around her midsection, and flesh-colored tap shoes that showed off her footwork. Her tapping was often accompanied by her hands clapping, answered by Ken’s percussive tapping on guitar. Sears-Etter’s hair was pulled back, with a flower over one ear. She looked the part of a Spanish femme fatale. But it was all façade. Her seductive mien was leavened by a playful sense of mischief. After all, the concert was a family affair. All three of her children were in the audience. Sears-Etter’s eldest daughter, 19, had just returned home after her first year of college. The other two, a son and daughter, ages 14 and 9, manned the table, taking and selling tickets before the show. They were happy to help. Her husband was also on hand. Sears-Etter’s family has always been supportive. Eight years ago, she was diagnosed with thyroid cancer. Her youngest was nine months old. The episode was seismic. Sears-Etter underwent surgery and radiation and recovered completely, but the illness changed her life. She values her time differently. “I’d been hard driving,” she recalled. “I took my strength for granted. But mind-body balance is important. I make time to take care of myself. I don’t have a magic recipe for balance, but I try. I no longer put art above everything.” Being a cancer survivor has helped her see that enjoying life is as important as achieving one’s goals. Several of Sears-Etter’s dance colleagues have achieved similar balance. At a recent presentation at Ann Arbor’s District Library’s main branch, Amanda Stanger Read and her husband, Scott Read, were the first performers on the program. They demonstrated the waltz, then taught it. For them, the professional melds with the personal. They are co-owners of Arts in Motion, a dance and music studio on the west side of town. The eldest of their three children has danced with Sears-Etter’s company. Victoria Gilbert, relatively new to the troupe, performed in a piece called Beatnik Chicks. She is the mother of four little ones who sat with their daddy in the audience. Another new member of People Dancing is one of Sears-Etter’s former students, Jessica Rose. Rose talked about the feeling of sisterhood she shares with Sears-Etter. Each lost her thyroid to cancer. Balance is key. Burn-out was one of the reasons that Hill, the company’s founder, left. She was dedicated but depleted after years of pouring her energy and resources into People Dancing. For Sears-Etter, running the company is one of several tasks she juggles. 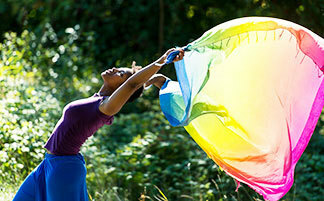 She teaches dance part-time at Wayne State University and at Arts in Motion, on Jackson Road. At Wayne, she teaches dance history as well as movement. She expects her students to recognize the aesthetics of the great choreographers: Isadora Duncan, Martha Graham, Paul Taylor, Twyla Tharp, among others. She assigns her students the task of creating dances in the style of one or another of these iconic dance figures. Her company dancers are busy, too. Some are students. Some are teachers, some earn their livings doing odd jobs. All are required to take regular technique class, although they can do that at any number of studios. Some do ballet, others modern, or yoga, improvisation, or personal training. Like Sears-Etter, company dancers find their calling in dance. They feed one another’s “art habit,” as Sears-Etter calls it, with mutual love and support. They are an ever-changing group, a “pick-up company,” which presents challenges when trying to establish a repertoire. In summer, some People Dancing’s dancers go to Interlochen or Blue Lake to train. It requires that Sears-Etter be flexible both mentally and physically. Except for Sears-Etter, none of the dancers from last May’s “Dance in the Mitten” appeared at the Ann Arbor District Library in October, when the company gave a lively demonstration and workshop. The program, entitled “Dancing Through Time,” featured video clips and slide-shows with images of dancers from the eighteen hundreds to today. There were also brief performance pieces, along with demonstrations and instruction in ballet, jazz, and the waltz. When the audience was not on its feet learning various dance steps, they sat in chairs arranged in a large horseshoe around the vast, carpeted center of the downtown library’s multipurpose room. When Sears-Etter first came to Ann Arbor, she enrolled in the musical theatre program at the University of Michigan. Her minor was creative writing. She spent so much time at the dance department, that one day, Gay Delanghe, the late, legendary U-M dance professor, said to her: “Why not major in dance? You’re always here!” That tipped the balance. In subsequent years, Sears-Etter has taught at Eastern Michigan University, Wayne State, University of Toledo, U-M Flint, Michigan State University, Towson State, and Monroe County Community College. Her choreography has been produced widely: in New York City and environs, upstate New York, Washington, DC, Illinois, Maryland, Poland, and the U.K.
Sears-Etter’s colleagues have equally interesting stories. Among her fellow dance instructors at Arts in Motion, one grew up dancing with the School of American Ballet in New York City and now holds a Ph.D. in neuroscience. Another, a native of the Czech Republic, danced and toured for ten years with the Opera Ballet of the National Theatre in Prague. Scott and Amanda Stanger Read were both members of prestigious dance companies in Michigan and New York City, and last year, their eldest daughter, at 15, was the youngest member of People Dancing. She, too, has moved on. For more information about People Dancing and to see their events calendar, including information on their spring fundraiser, visit www.peopledancing.org. You can also email: peopledancing@comcast.net.